If Rise Up is any one coffee, we are this coffee from Chajul Guatemala. 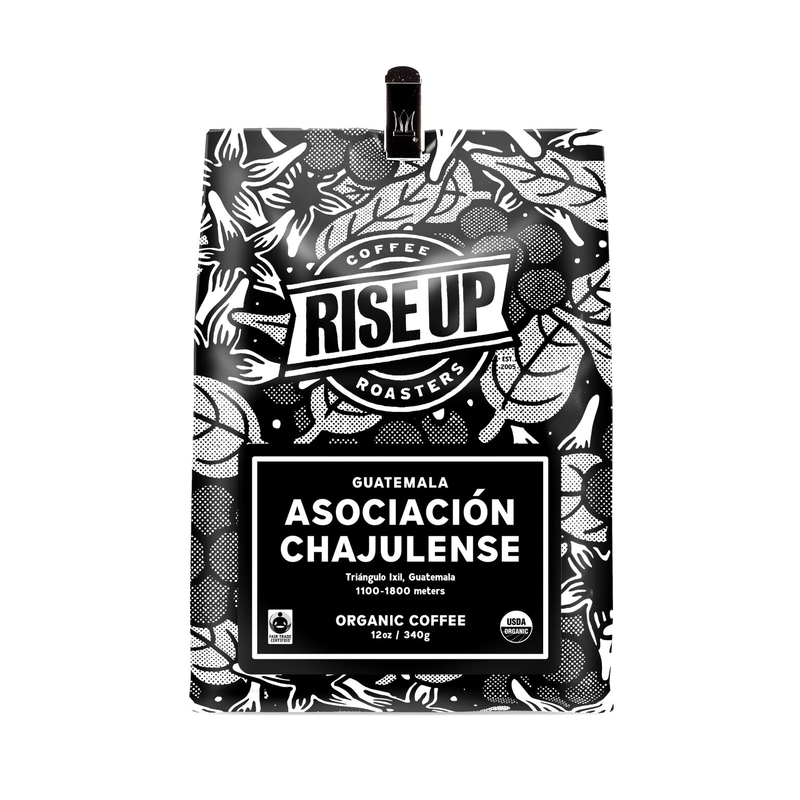 The Asociación Chajulense Val Vaq Quyol (“Only One Voice”) is a cooperative founded and run by Mayan farmers of the Ixil region. By producing and selling high-quality coffee, textiles, and other organic products, these farmers have helped to realize their vision of sustainable development for their community, encompassing ecological, economic, social, and cultural justice. Low-toned, with pungent earthy and cedary notes supporting tart citrus and fruit. Rich acidity; milky but lively mouthfeel. Sweet-toned and deep in the finish. Process: Fully washed. Sun dried.